What really was the relationship between Collins and Guild Books? 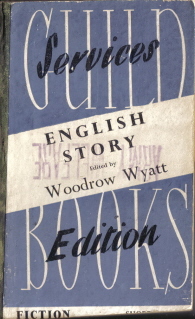 As publishers of the two main series of Services Editions they might appear to be competitors, but oddly several of the Guild editions were actually published by Collins themselves. Wartime conditions of course meant that some of the normal rules of competition were effectively suspended, but this does look rather odd. It’s hard to see that Collins would ever have had much interest in getting involved in a co-operative venture putting out paperback books in competition not only with Penguin, but with the other big paperback publishers. By the time Guild Books launched in 1941, Collins was one of the major paperback publishers, along with Penguin and Hutchinson, and as you might expect, the early Guild issues did not include titles from any of these three. 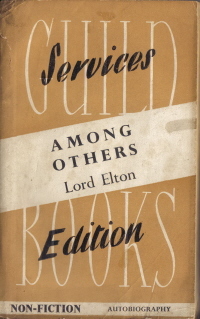 Yet when the Guild Services Editions launched in 1943, the very first title, ‘Among others’ by Lord Elton (numbered S1), was published ‘for the British Publishers Guild’ by Collins. 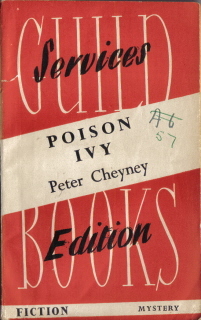 At much the same time, Collins started publishing its own series of Services Editions, but it still went on to publish at least 5 other Guild Books titles as well. 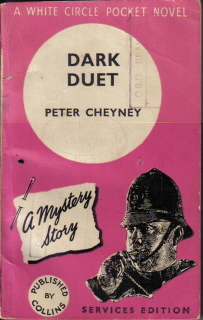 So for instance there are 8 Peter Cheyney books in the Collins Services Editions and one published by Collins as a Guild Services Edition. 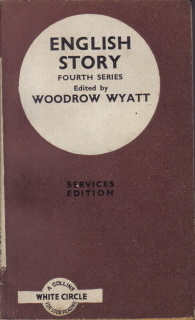 Even more oddly, the collections of short stories edited by Woodrow Wyatt, and published as ‘English Story’, transferred across part way through. The first series appeared as a Guild Book Services Edition, and I suspect the Second Series did too, although I have never found a copy of this. 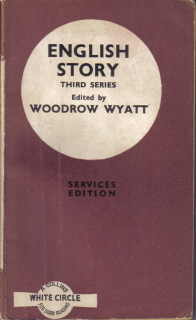 The Third and Fourth Series however appeared as Collins Services Editions. The last Guild book published by Collins that I’m aware of, was ‘Village in August’ by T’ien Chun (S122) in 1944. After that Collins seem to have concentrated on their own series. When Guild Books re-started commercial publication after the war, Collins seem to have kept away from it again, so in the end the co-operation involved just a handful of books in 1943 and 1944. We have to put it down as one of those wartime oddities.